Do You Let People Take Your Picture? 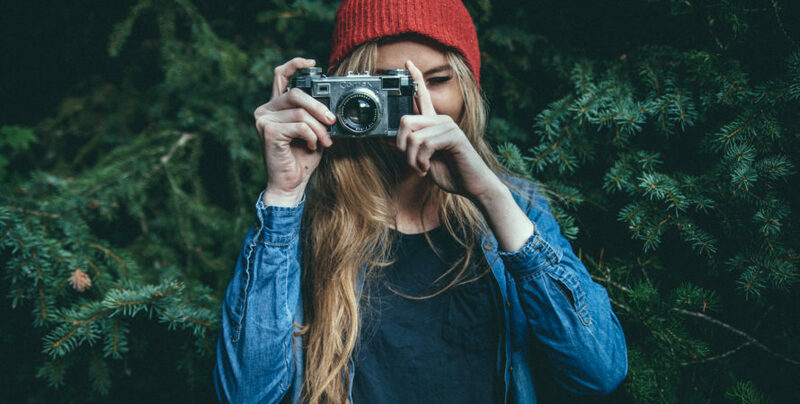 WHEN IS THE LAST TIME YOU LET SOMEONE TAKE A PHOTO? More and more, I’m seeing girls choosing not to be in it because they can’t control the angle. I’m seeing people opting out of photos, just in case they are the ugly one in it. Maybe your eyes are closed, or you look sweaty from dancing all night? ?? it’s ok, it’s just a photo! There was a time when selfies didn’t exist and you were never in control of the camera. I remember the days of disposables, snap and wait to see! You’d look through the photos and remember the memories, not look for faults and flaws. WHEN IS THE LAST TIME YOU DIDN’T CHECK THE PHOTO AFTER SOMEONE ELSE TOOK IT? “Is that good?” “Can you do another one? A little bit higher?” Does any of that sound familiar? What exactly are you checking for? You do know that it’s still your face right? Bad angles, good angles, double chin or without, it’s still your face. Learn to accept what you look like from ALL angles. Growing up, I couldn’t check the photo. It was taken, and then it was gone, until you got them developed. WANT TO KNOW HOW LIFE IS DIFFERENT WHEN YOU AND YOUR FRIENDS ARE BODY POSITIVE? I wanted to remember the night. I saw a photographer in the club, I asked him to take a photo. @thechristinecho and I smiled and … we carried on dancing. It took ONE TAKE, a few seconds and we didn’t think anymore about that photo until the next day when I decided to look it up. When I saw this photo, yes I saw the sweat and the smudged makeup but more than that I went “LOOK HOW HAPPY WE ARE! WHAT A HAPPY PHOTO” ? Same thing with @curvygirlwithtattoos – one photo, no checking our makeup before hand, no awkward posing. Just us, having fun, wanting to remember the night! Let someone take your photo. Be IN the photo. It makes me so sad when I’m with an older women particularly and they always want a photo of their kid but they never want to be in it themselves! What are you teaching your children?